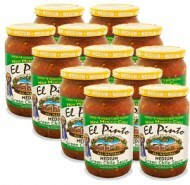 El Pinto Restaurant in Albuquerque New Mexico is now using 100% pasture-raised eggs for all entrees. To accomplish this unprecedented feat, El Pinto is caring for 200 laying hens to produce the required pasture-raised eggs on a daily basis for restaurant use. The restaurant’s “Hen Hotel” is located on the property of El Pinto in the North Valley of Albuquerque. This commitment makes El Pinto Restaurant one of the few, and the definitely the largest restaurant in America with a pasture-raised egg commitment. There is extensive lack of understanding in egg production standards which confuses the consumer. 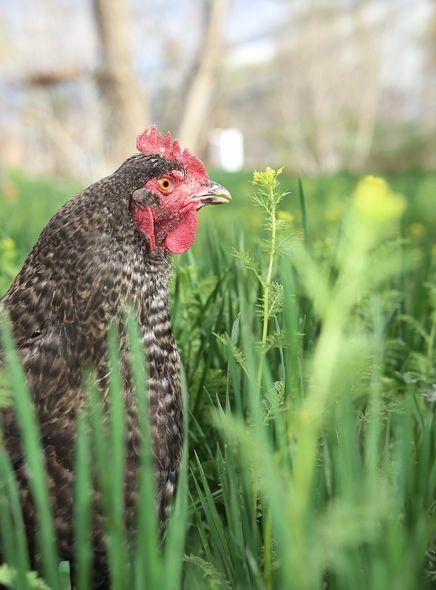 “Pasture-raised” is the only standard that is significant to ensure nutritional benefits of the eggs as well as the animal security of the hens. Terms like “cage-free,” “farm-raised,” and even “free-range,” do not ensure the happiness of the hens or high nutritional value of the eggs. The health benefits of pasture raised eggs are extensive. Eggs from happy hens who live their lives normally in an unconfined environment lay eggs that are multiple times higher in Vitamin A, Vitamin E and Omega-3s than eggs from mass production conventionally raised hens. Pasture-raised eggs naturally have half the cholesterol and are significantly lower in saturated fat as well. El Pinto hens naturally roam the land for worms, grubs and insects. Their diet is supplemented with high protein organic feed. Additionally, some unique things like wheatgrass, red chile sprouts, jalapenos, and other nutritious kitchen scraps from the restaurant are used to supplement their natural diet. The eggs are collected daily, washed, graded according to USDA requirements, and then used in the restaurant for guest entrees. It is estimated in 2016 that 94% of egg laying hens in the United States live their lives in less than 76 square inches of space in a cage. By comparison, a sheet of paper is 94 square inches. Cage-free hens live outside a cage but inside a cramped barn and likely do not see the light of day. There are no space requirements for cage-free laying hens. El Pinto laying hens live their lives under the pasture-raised standard which requires them to live naturally without their beaks cut, wings clipped, and they enjoy a happy life in over 50 square feet (not inches) of outdoor pasture space per hen. All hens have free will access to safe laying areas as well as expansive outdoor pasture space. Over the 53 year tradition of El Pinto, the restaurant has helped to put New Mexican cuisine on the map as it has prepared green chile based cuisine within the White House presidential kitchen and provided “take-out” direct to Air Force One on the tarmac in Albuquerque. In addition to serving presidents, cabinet secretaries and military generals, local residents continue to independently voted El Pinto Restaurant the Best New Mexican Restaurant for multiple years running as well as its patios as the Best in the City in the annual Albuquerque The Magazine readers poll. El Pinto's Red Chile Ribs were named in Food Network's Top 5 Restaurants as the #3 ribs in the nation.